OLD PARKED CARS. : 1977 Toyota Corona Luxury Edition. 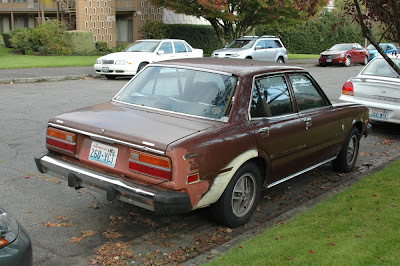 1977 Toyota Corona Luxury Edition. With wheels off of a Challenger. 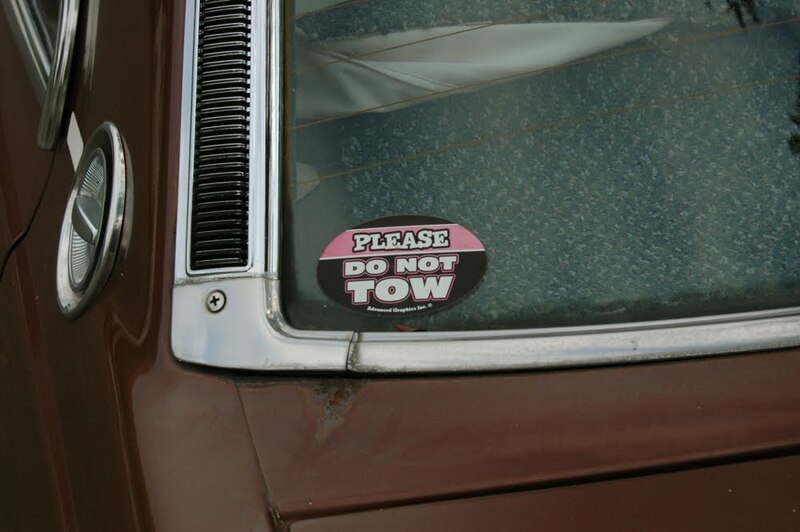 "Please do not tow"=Please do tow. No way, aren't those a Datsun or Nissan factory wheel? I never thought a Challenger wheel would come in a 4x114.3 bolt pattern. I think these are sweet and strange. wow, that's a lot of bondo and primer, but it looks pretty straight and intact. wheels look like a match. Last night I saw these on an RX7, I knew they had to be something from Japan. Like! The wheels on the Challenger are damn-near the same. 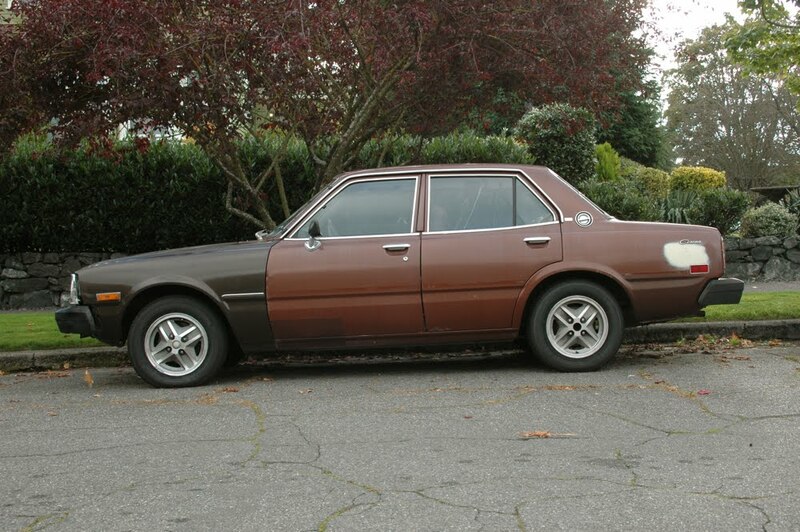 Those are definitely 1981-83 Dodge Challenger/Plymouth Sapporo rims... I almost bought a set, but found a better deal on Epsilon mesh, instead. I think those rims are 14s. 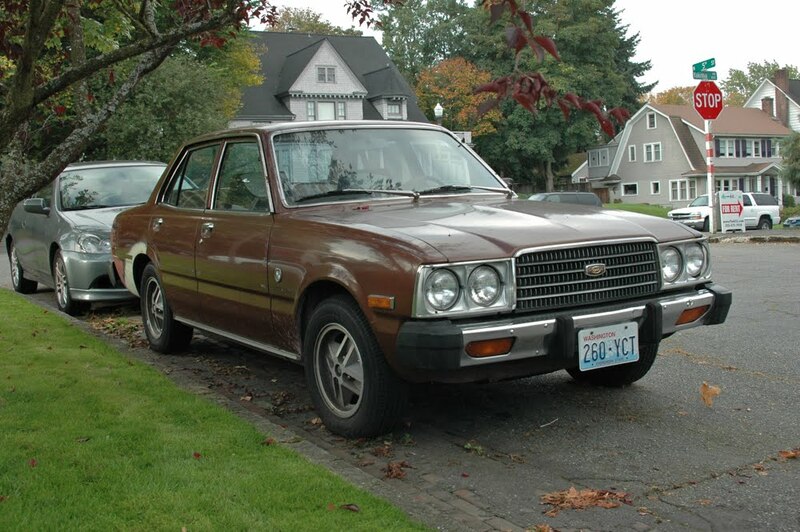 Well i bought it about a week ago and typed in 1977 corona and it popped up on google and sure enough it was the car i just bought. I love the older toyotas and this car is really staight the primer on it is cancer repair so i ll put a nice paint job on it and lower it and some performance mods on it. 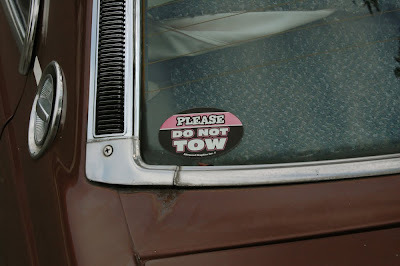 Wish i had more details about the history but the do not tow sticker was on it because the car got towed because it sat during the day and he worked nights. I went ahead and re-painted it myself to a nice White color, and i will be re-painting the interior, engine bay, trunk, (and everything else that has the oem brown color) to flat Gold. I also put fender mirrors on it, and repainted the bumpers, and grill. You can see the entire build on my photobucket. But the main issue now is the Carb, it is in need of a rebuild. When i am done with this, my final goals will be a nice clean, stanced daily driver. wow, bassett. you've saved that car.